Disgraced former Nissan Motor boss Carlos Ghosn has maintained his innocence and accused some of the company’s executives of conspiring against him in his first public appearance since his arrest last year. On Monday, Nissan shareholders decided to remove Ghosn from the board. "This is a conspiracy ... this is not about greed or dictatorship, this is about a plot, this about a conspiracy, this is about a backstabbing," said the former boss. 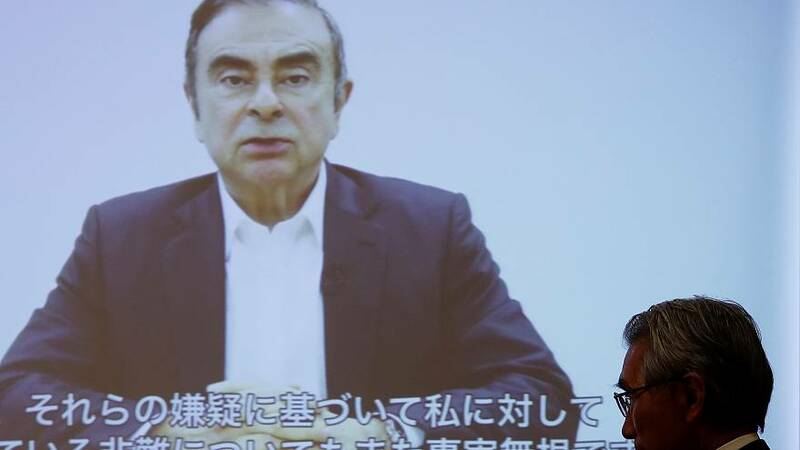 In the video screened by his lawyers on Tuesday, Ghosn who wore a dark blazer and a white shirt said the conspiracy was born out of fear of an expanded alliance with partner Renault SA. Ghosn's lawyer Junichiro Hironaka said that the latest arrest was to "apply pressure" upon his client and that prosecutors were taking "cruel steps" to push Ghosn into "incriminating himself into a confession."